Calling all wanna be Pink Ladies (and T-Birds) this is the birthday party theme for you! Is there a sassy young lady in your life who loves dressing up? Do you fancy a bit of juke box action? 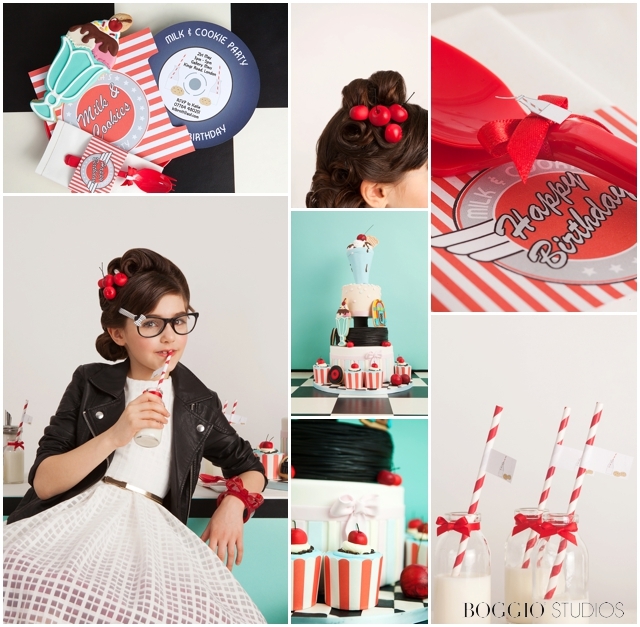 If so check out this 50s style Milk and Cookie bar party theme we worked on with Les Enfants and Julia Boggio. 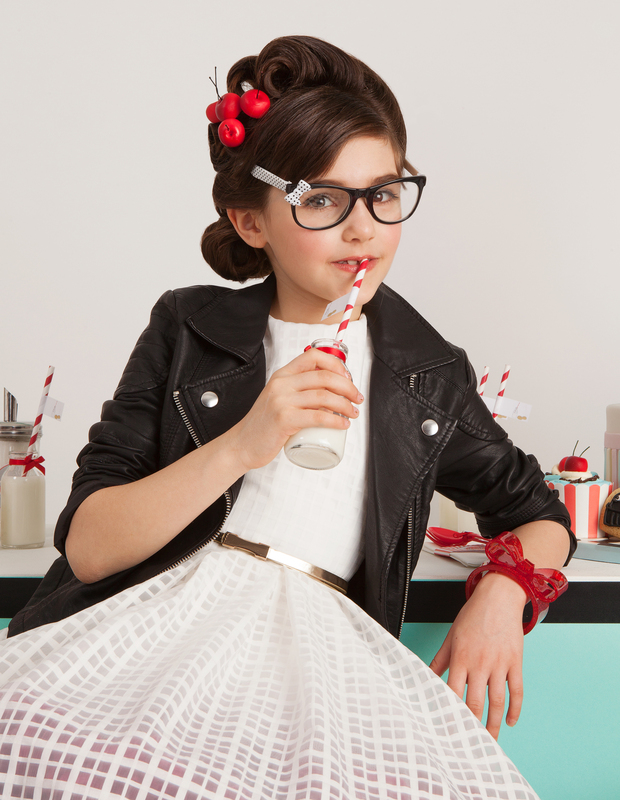 Complete with edible sugar cherries in her hair, this little lady is seriously rocking diner chic! Why not ask the attendees to come in fancy dress, serve burgers and ice cream sundaes and crank up the juke box with some 50s tunes to get them bopping away? 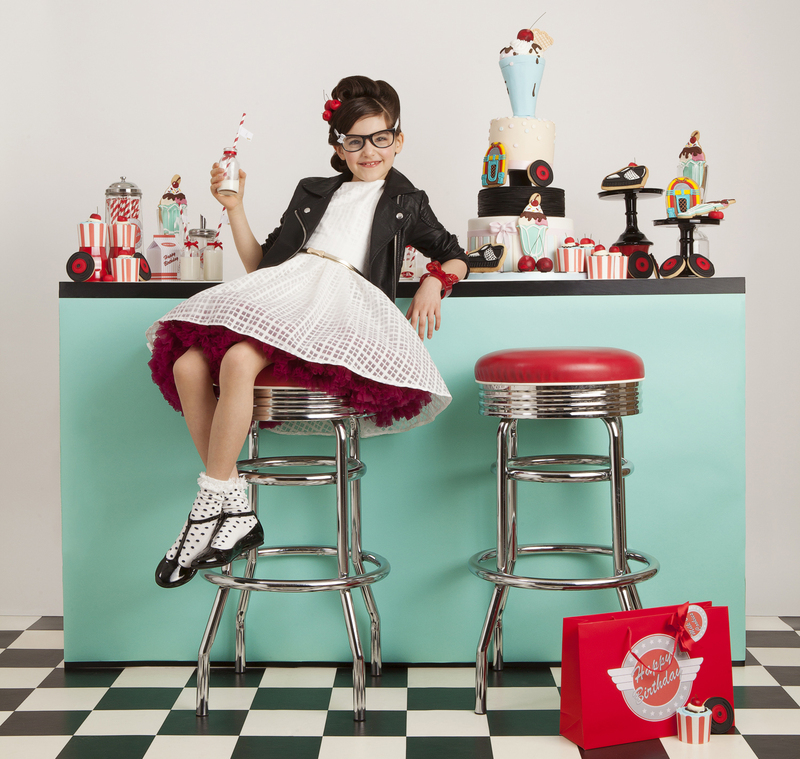 The diner cookie bar isn’t essential but what a fabulous back drop for photos to remember the day and a lovely keepsake for the kids in addition to the ice cream sundae cookies featured. Other ideas for entertainment are having a nail and hair bar for the little ladies to transform themselves or something more interactive would be getting them to make their own ice cream sundaes. All you’d need would be some sundae glasses, different ice cream flavours, some sauce and some sprinkles. Easy! I love this theme so much. 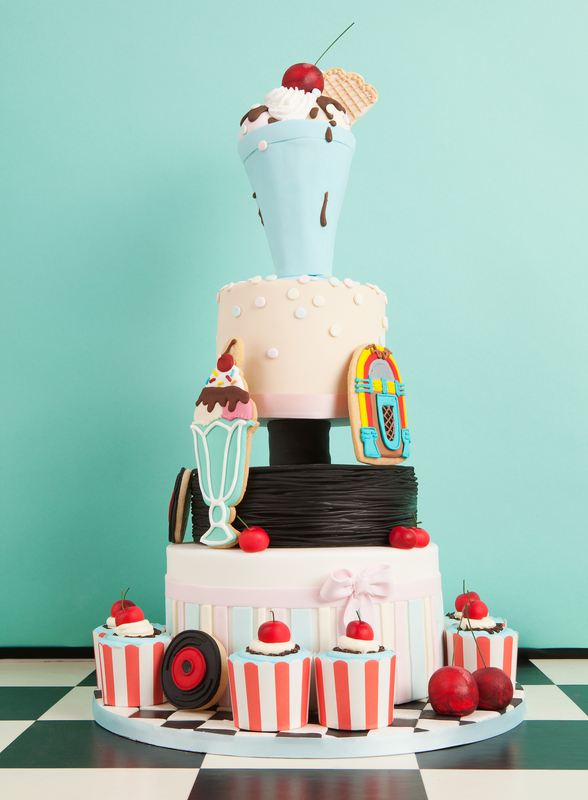 Get in touch with your ideas for a themed party-we’d love to help! 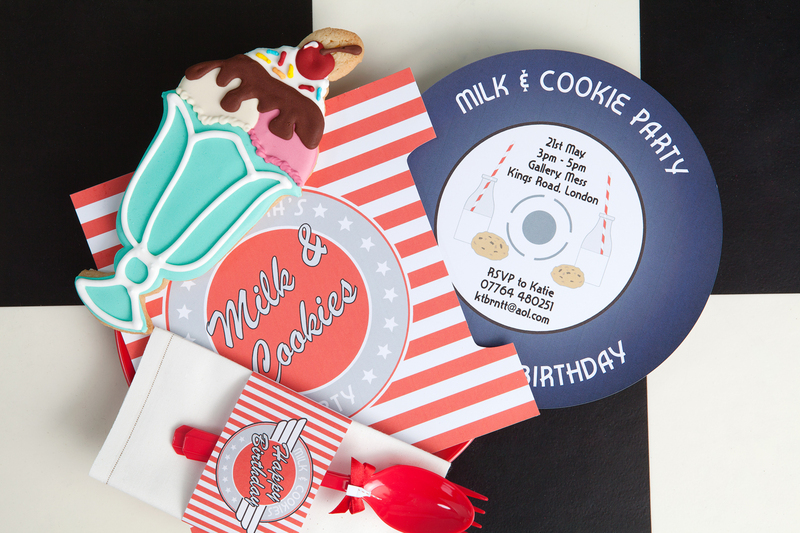 What a fab keepsake for each guest to take home a photo of themselves reclining on a diner stool against the cookie bar which is perfect as a dessert table too. Two uses for the price of one! 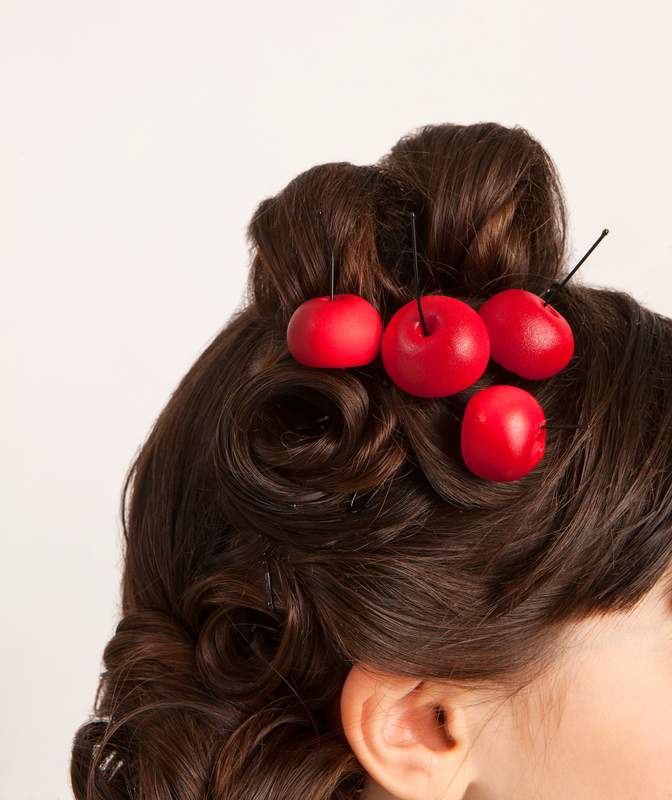 Sugar cherries in the hair obvs! 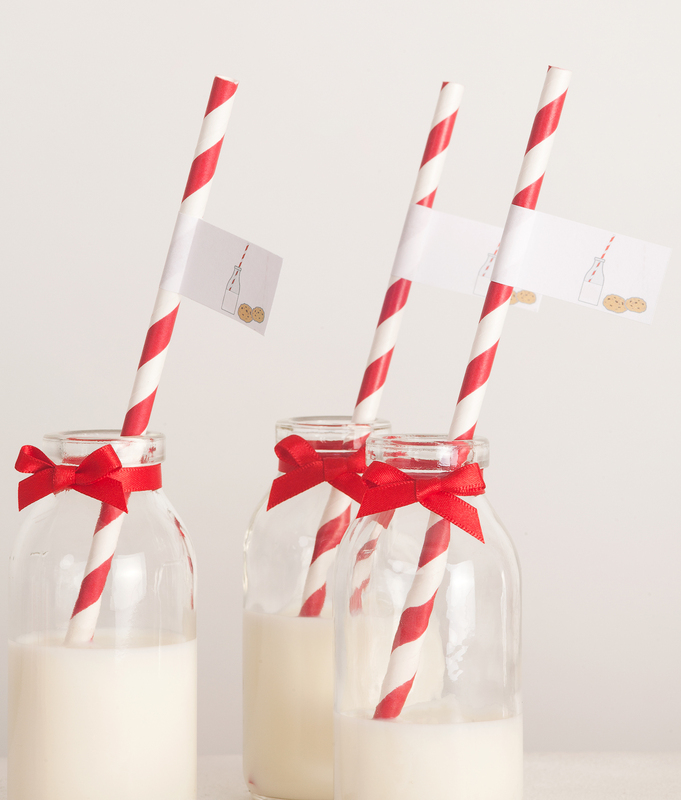 Cost effective mini milk bottles with red and white straws and bows. These can be ordered online through Les Enfants’ sister company Little Party Hire. Gorgeous!